Home Cooking Secrets | Home Cooking Secrets. Asparagus: The Life and Love of Asparagus! Asparagus, a slender spear like vegetable, that grows in both thick and thin stalks. The plant grows what is considered both male and female reeds. Male stalks are thought to grow thicker because they do not expend the energy to produce seeds and the thinner female stalks use up so much energy by producing their seeds that it does not build up the extra bulk. Asparagus is one of the few vegetables grown perennially and has an approximate 10 year life span. Although considered a native food of the Mediterranean and Asian Minor area’s, it’s exact place of origin is unknown. Earliest written pieces with asparagus mentioned go back to around 1000 A.D. in English print. However, in 200 B.C. Marcus Porcius Cato, (also known as Cato Minor) a Roman Statesman despite having a longtime conflict with Julius Caesar, gifted to Caesar knowledge of excellent growing instructions to teach his slaves after Caesar brought this vegetable to Rome from Egypt with plans to cultivate it. Romans such as Caesar and Augustus came to prize a wild variety of asparagus that is thought to have been brought to Rome by Marc Anthony after one of his first trips to Egypt. A favorite Roman saying was, ” As quick as cooking Asparagus.” which became common in referencing anything being accomplished quickly just as the quick blanch cooking method of asparagus that they used. Roman Emperor’s kept special fleets prepared whose sole purpose was to sail out and retrieve more asparagus plants should one of their ruler’s plants die. John Gerard, an English herbalist of the 16th century mention asparagus in one of his first betony writings. Asparagus was next noted in 17th century French cookbooks. During the Renaissance period, beds of asparagus could be found in Northern Italy. It is thought that Pliny, the Elder may have brought asparagus to Italy after his time in Rome as these elegant spears were considered a delicacy that only the most wealthiest of citizens could afford. Asparagus root was used by Ancient Chinese herbalists to treat many maladies from arthritis to infertility. The root contains steroidal compounds which may have had anti-inflammatory properties. Today we know that 1/2 a cup of cooked asparagus contains significant amounts of folic acid, vitamin C, potassium and beta-carotene. Folic acid helps prevent birth defects, several types of cancer, and heart disease. Vitamin C protects against cancer and heart disease and also helps boost the immune system. Potassium helps regulate the electrolyte balance within cells, and helps maintain normal heart function and blood pressure. An Italian researcher reported in 1991 a compound had been found in asparagus that had shown some antiviral activity in test tube studies. Asparagus is a natural diuretic, and a heart-healthy food, containing no fat, cholesterol or sodium. There are two popular varieties of asparagus in the United States. The Green Asparagus which is most popular. It is used fresh to add to salads or munch on as healthy snacks. The more commonly found way is to blanch or steamed to add to stir-fry dishes, creamed for soups or with melted butter or covered in a hollandaise sauce. White Asparagus, which is actually just asparagus that has been sun deprived as it grows but tends to be a bit more delicate and milder in flavor. It is rarely sold in its fresh state, but instead sold in jars in juices. There are two other lesser known varieties found mainly in Europe and Italy. The Violet Spear which is an extremely thick stalked variety, and the Wild Asparagus which is a thin, reedy variety which grows as it’s name suggests wild in unpopulated area’s of Italy and Southern France. Asparagus is available year round, but Spring is considered it’s prime season of growth. Spring and Early Summer it is found at local markets fresh and reasonably priced. To prepare to eat fresh or to cook, gently wash by sloshing the stalks around in a water filled sink or bowl to remove sand and silt from the fern like spear tip. Drain the water and repeat until the water remains clear. If a crisp tender texture for adding to salad or stir fry is wanted a quick cook method is best. Blanch the stalks by filling a large saucepan 1/2 full of water and a pinch of salt. Bring to a boil, and set asparagus down inside. Cover and allow water to come to a boil again, then uncover and cook for 5 to 8 minutes then remove from heat and drain water off and pat with a towel dry. For tender stalks for creaming or eating in melted butter or hollandaise sauce then a slower method of cooking is needed and removal of some of the lower thicker white section of stalk. Steam by letting covered asparagus stand in 3 to 4 inches of boiling water for about 8 to 10 minutes (or until tips are tender). By standing the asparagus in the water, the thicker stalk will cook while the tips tenderize from the steam. This method is best used on younger tender asparagus. Regardless of the method used, it is usually easier to cook the asparagus stalks tied in 10 to 12 per bundle to make adding and removal of stalks from water quick and simple. Asparagus has the best flavor when served warm or at room temperature as refrigeration will have the natural juices inside the stalk move to its inner most section of stalk which will lessen the flavor. 1/2 lb of asparagus per person satisfy most as a first course or accompaniment. There are 15 to 20 medium-size stalks in a pound. One pound of asparagus, trimmed and cut into 1- to 2-inch lengths, will measure about three cups. Now we hope you enjoyed this lesson about the wonders and history of asparagus. Now it’s your turn. Tell us what you like or don’t like about asparagus below in the comment section and also be sure to share this with your friends and family! This is what happens when you combine two of the world’s most awesome things… Bacon and thermite. Be sure to share this video with your friend and Subscribe to Home Cooking Secrets on YouTube, Like us on FaceBook and Follow us on Twitter! And there you have it! Dave’s famous turkey meatloaf! Now, we could stop right here, but what fun would that be? So, let’s talk about the nutritional value of this awesome meatloaf! Keep in mind that this meatloaf makes about 6 servings and each serving contains 393 Calories, 46g of protein, 14g of Carbohydrates and 17g of fat. This is a perfect meal for bodybuilders and fitness enthusiasts as it contains a low amount of carbs and a high amount of protein. Speaking of bodybuilding and fitness, at the beginning of this video we said that we had a free gift for you, didn’t we? 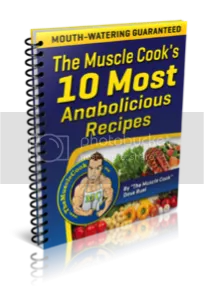 Okay… Well Dave Ruel from Anabolic Cooking gave us a few copies of “Dave’s Top 10 Most “Anabolicious” Recipes” that he wants us to give to you for FREE!! 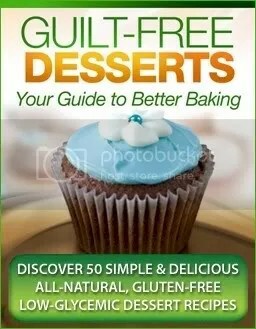 So go to HomeCookingSecrets.com/AnabolicCooking to grab your free copy! We hope you enjoyed this recipe and if you did, please be sure to share it with your friends and family and don’t forget to Subscribe for more delicious recipes, helpful tips and Home Cooking Secrets!